King Herod's stepdaughter, Salomé, grows fascinated by the imprisoned Jokanaan, even as he hurls insults and threatens devastation. As mad ravings - or perhaps prophetic truths - fall from his lips, Salomé strikes a bargain with her lecherous stepfather - she will dance for him, in exchange for Jokanaan's head. 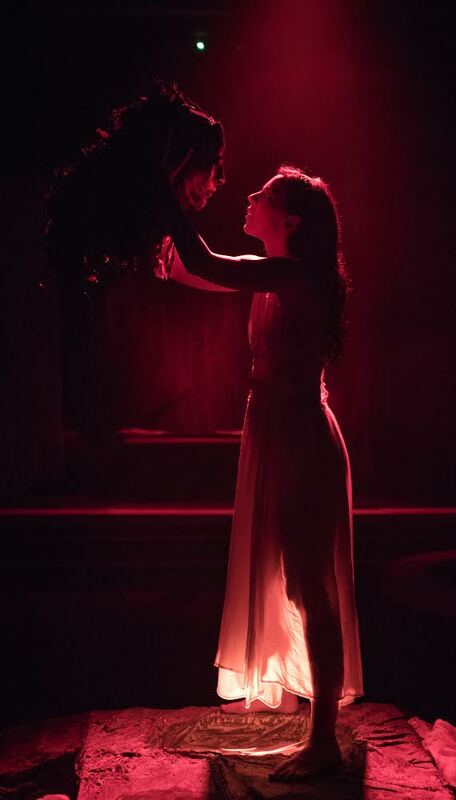 Oscar Wilde’s gorgeous play, banned by The Lord Chamberlain in 1892, reimagines the biblical story of the legendary dance of Salomé and the abhorrent death of John the Baptist. Note: Our Preshow begins at approximately 7:15. You won't want to miss it! Runtime: Approximately 90 minutes with no intermission. A Conversation with Director and Cast follows each performance. Audience: The MainStage Series is best enjoyed by Scoundrels ages 13+. Is this show appropriate for my child? Sarah Macmillan (Herodias) and Gabrielle De Brequet (Salomé). Christopher Younggren (Herod) and Gabrielle De Brequet (Salomé). 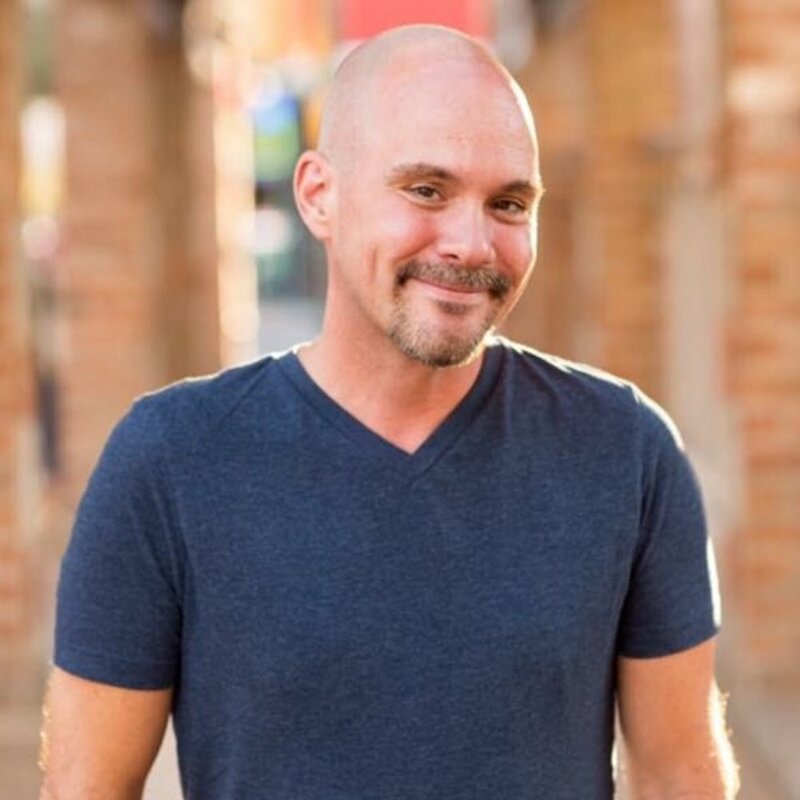 At the S&S Bryan has directed Two Plays for Lost Souls: The Love Talker & The Yellow Wallpaper and A Public Reading of an Unproduced Screenplay About the Death of Walt Disney, for which he won the 2017 Arizona Daily Star Mac Award for Best Director. Paul Amiel (Music Director) is a musician/composer passionate about traditional music and instruments of the world, with an emphasis on Turkish, Medieval, Chinese, Japanese, Mediterranean, and ancient music. 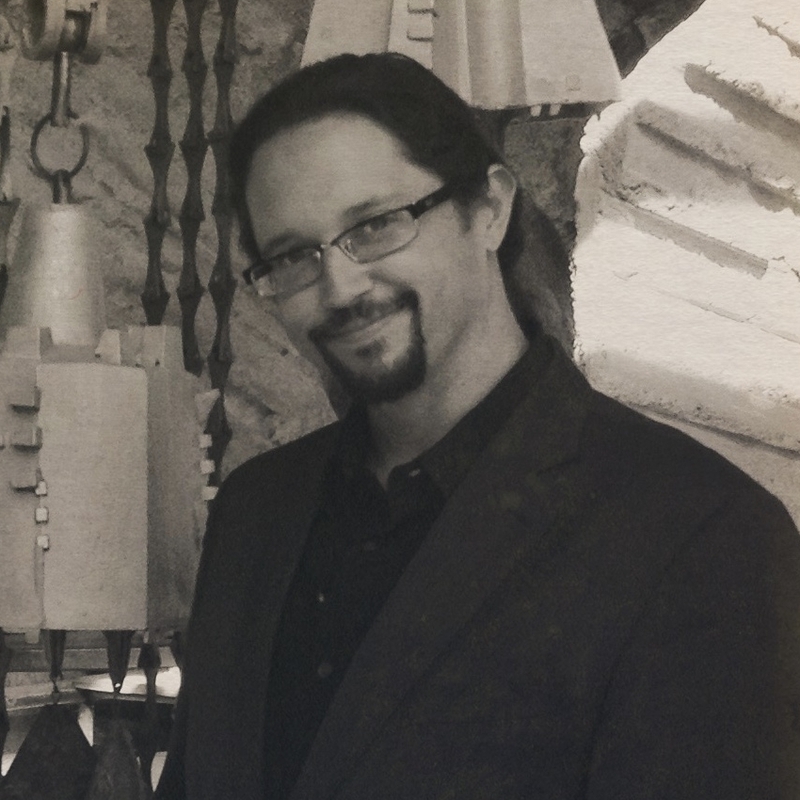 Paul has performed on gothic harp, kaval, saz, ney, banjo, flute, piano, guitar, dizi, shakuhachi, and accordéon for his groups Summer Thunder, Muso, Seyyah, Zambuka, and Theatrum Orbis Terrarum as well as Musica Sonora, the Arizona Early Music Society, and Odaiko Sonora. Paul, as Music Director for The Rogue Theatre, scored and performed in Betrayal, Arcadia, Measure for Measure, Mistake of the Goddess, Richard III, Kafka’s Monkey and Metamorphosis, The Night Heron, Journey to the West, As I Lay Dying, The Winter’s Tale, and Dante’s Purgatorio. He currently plays in the Aegean group KYKLO, and teaches shakuhachi at the Empty Bamboo Shakuhachi Practice Group. Stevan Matthew Miller (The Young Syrian) is a local to Tucson, and couldn't be happier to be part of Scoundrel and Scamp's first season. Stevan made his debut to the "Old Pueblo" earlier this year with The Invisible Theatre in the premiere of Let's Live A Little by Kathleen Clark, and continued on with the company in Indoor Outdoor by Kenny Finkle. He studied acting at the Bennett Theatre Lab and Conservatory for three years. There he learned from Classical Plays and the Stanislavski System. A heartfelt thank you to all who made this production and company possible and to the theatre community, for its dedication to quality and growth! Joseph Clark (First Soldier) is currently studying film at the U of A and Stanislavsky acting with the Bennet TheatreLab & Conservatory. Scratching a lifelong itch to perform on stage, Larry Gatti (Second Soldier) is making his second theatrical appearance in Salomé. A body and energy worker for over 10 years, Larry works at a local Tucson acupuncture clinic making acupuncture affordable to those on a budget. He is also active in the community facilitating freestyle dance gatherings that incorporate a wide range of music with the intention of creating an atmosphere that allows for free expression, intimate connection and ecstatic flow. When not dancing, reveling, singing or needling people he can often be found lazing about with those he loves whether human, animal or other. Lance Guzman (A Nubian/First Jew) is a University of Arizona graduate and has been a part of many Studio Series plays and films, including Giants Have Us in Their Books and This Heart in My Mouth is Called Home. He aspires to continue to work in theatre while pursuing a film acting career. Karl (A Cappadocian/Second Jew) is thrilled, performing 21 roles in Arizona this year: a SAG film, Girl Wired (Sergeant Jones), Ransomed (Professor Benson), many short films, an Arizona Dairy Commercial (Coach), a Video Game mod for Vampire: The Masquerade (The Regent), Gaslight in Elf'd (Santa), LTW in The Cripple of Inishmaan (Babbybobby), Roadrunner in Tucson Follies (MC), Curious Savage (Judge Samuel Savage). Karl's next show is with Arizona Rose in Spamalot (King Arthur). Karl earned a BFA in Voice Performance, and an MS in Management. He is a Lieutenant-Colonel, US Army (Ret. ), a financial advisor (9 yrs), and now acts full-time. Karl thanks his wife, Kathy, and his friends! Gabriella De Brequet (Salomé) has most recently appeared in The Scoundrel and Scamp's inaugural production of The Love Talker as The Red Head as well as locally at The Rogue Theatre in Arcadia as Thomasina Coverly, Jerusalem as Tanya Crawley, The Bridge of San Luis Rey as Pepita, and Dante’s Purgatorio. Other credits include The Diary of Anne Frank as Anne Frank, The Caucasian Chalk Circle, Curtains the Musical as Niki Harris, The Jungle Book, and All Shook Up. Gabriella has studied with The Rogue Theatre in their intensive training programs with emphasis on Shakespeare, voice and movement, and impulse awareness. Gabriella would like to thank her family, Bryan and Lizzie Falcon, Leah Taylor, Allie Knuth, and her partner Tiffer Hill. Grace Otto (Slave of Salomé) has been acting since she can remember, starting in her first role (Dorothy in The Wizard of Oz) when she was only 10 years old. From there, she has followed her love of performing which has lead her to study theatre at the University of Arizona. Her roles range from Lindsey in a punk rock rendition of Godspell and Mrs. Trotsky in All in the Timing. She also has passion for writing, music, and devising. She is ecstatic to be a part of the Scoundrel and Scamp acting team, hopes you enjoy the show! 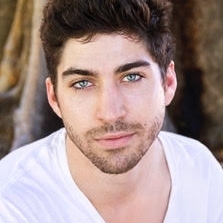 Hunter V Hnat (Jokanaan) is a local actor from Tucson. He is thrilled to be joining the The Scoundrel and Scamp for their production of Salomé. He has most recently been seen as Steindorff in Bach at Leipzig at The Rogue Theatre. 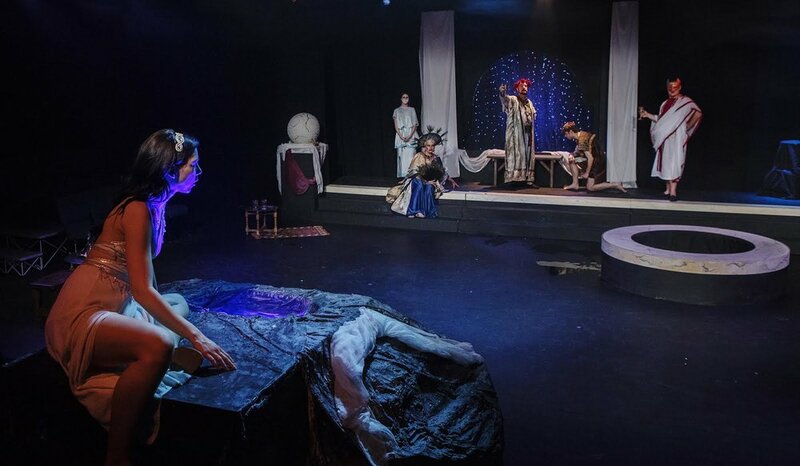 Other credits at The Rogue include a play reading of Cloud 9, as well as A House of Pomegranates. He has performed with Arizona Theatre Company in their productions of Romeo and Juliet as well as The Importance of Being Earnest. Hunter received his BFA in Musical Theatre from the The University of Arizona in 2015 and has been an active member of the Tucson theatre community since. 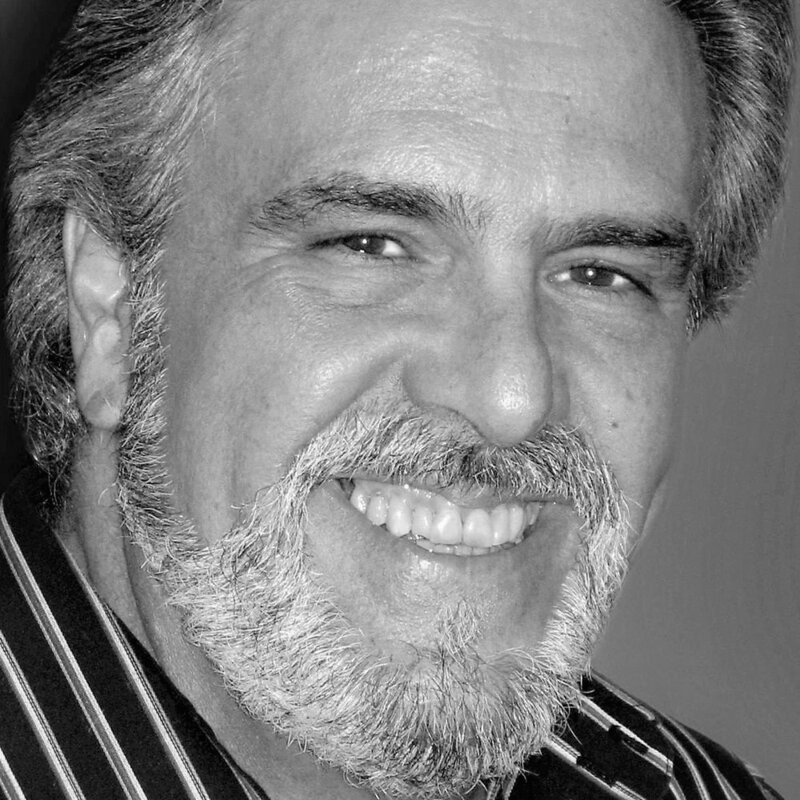 A Tucson native, Christopher (Herod) was involved in theater from Los Angeles to New York City for over thirty years, before finally returning home. 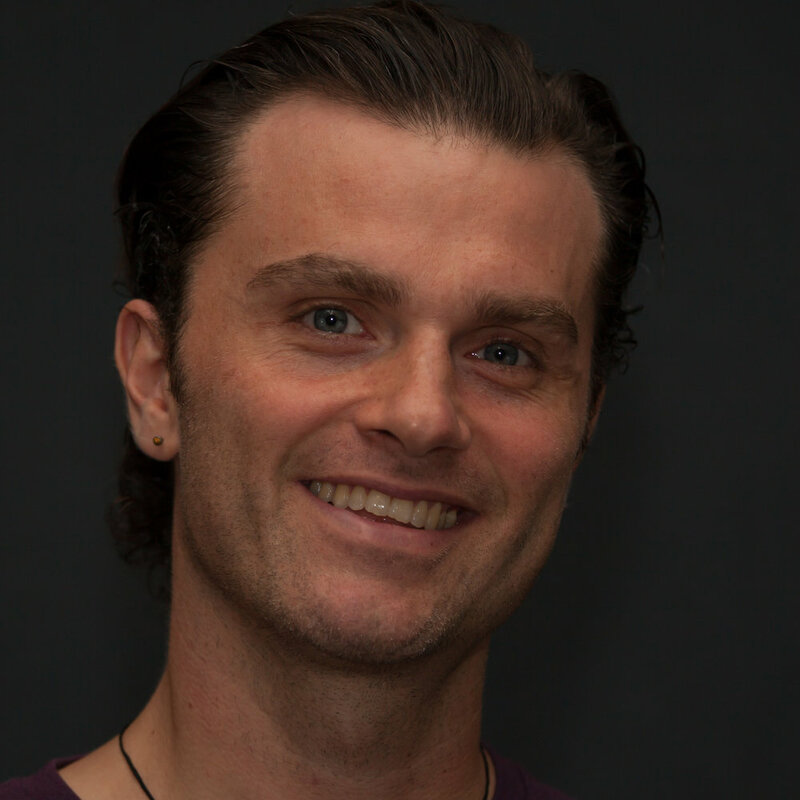 He has been seen in Live Theatre Workshop‘s The Voice of the Prairie (2017 Best Actor Mac Award winner) and Move Over Mrs. Markham (2015 Best Actor Mac award nominee), Invisible Theatre's Indoor Outdoor, Arizona Rose's The Odd Couple and The 25th Annual Putnam County Spelling Bee, and several villainous roles at The Gaslight Theatre, from Lord Vader to Lord Voldemort. He would like to thank Bryan and The Scoundrel and Scamp for this tremendous opportunity. Big love to Meag and the boys. Sarah (Herodias) has been acting for over twenty years. She has worked in Alaska, Denver and Tucson, most recently appearing in Invisible Theatre's Let's Live A Little. Denver theatres include Germinal Stage of Denver, Vintage Theatre, Spotlight Theatre, The Firehouse Theatre and And Toto Too Theatre. Memorable roles over the years include Nurse Ratched, Mary Tyrone, Eleanor of Aquitaine. Frankie in Frankie and Johnny in The Clair De Lune. She has worked with Fairbanks Shakespeare Theatre for the last 12 summer seasons, last seen as Constance in King John. Sarah is thrilled to be back in Tucson and making her debut with Scoundrel and Scamp. Dylan Welker (Tigellinus) is an aspiring actor and theatre-maker. Previous stage credits include U/S Hamm in Samuel Beckett’s Endgame, Brett in Mother of Exiles, and Squealer in George Orwell’s Animal Farm. He is currently pursuing a Bachelor’s Degree at the University of Arizona with a double major in Theatre Arts and Italian Studies. He would like to thank the Scoundrel & Scamp staff for the opportunity to take part in their inaugural season. Paul Wolf (Third Jew) was a drama and theater arts major, and became a practicing lawyer. 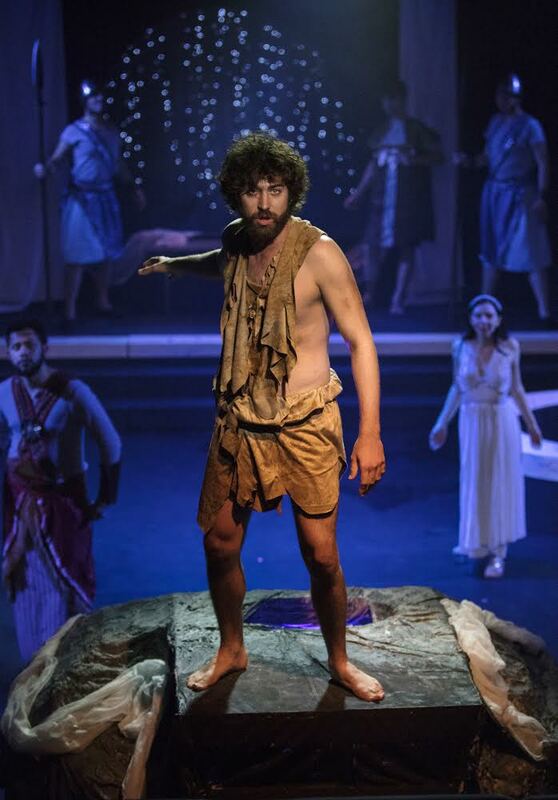 After a long hiatus in performing, he is pleased to be returning to the stage in this production of Salomé. In past years Paul has played Willy Loman in Death of a Salesman (Arthur Miller), performed Krapp’s Last Tape (Samuel Beckett), and played Jerry in The Zoo Story (Edward Albee) and the Mayor in The Visit (Friedrich Dürrenmatt). Paul also played Antipholus of Ephesdus in The Comedy of Errors. Roger Owen (Executioner) has been acting off and on since high school. Favorite roles: 1965-1981: Macbeth, Oberon, Toby Belch (Invisible Theatre), Mitch in A Streetcar Named Desire (Key West, Tennessee Williams collaborating), Jerry in Zoo Story. 2006-present: Gaev in The Cherry Orchard, Father Willow in By the Bog of Cats (The Rogue Theatre), Doug in Lemon Sky (Live Theater Workshop), Charlie in Seascape, George Pye in Humble Boy (Beowulf Alley), Beverly in August: Osage County, Uncle Ben in Death of a Salesman, 3 roles in United, 5 roles in Language Archives (Winding Road), Xavier in By the Bog of Cats, Frank in Body Awareness (Something Something), and Michael Novak God of Carnage (Roadrunner) for which he received a 2016 Mac Award nomination for Best Actor in a Comedy. Anton Shekerjiev (Musician). Born and raised in Bulgaria, Anton traveled extensively in Eastern and Western Europe playing music from the Balkans, and lived for several years in Spain performing with masters of Bulgarian music. In 2001 he moved to the USA, and in Tucson formed the bands Balkan Spirit, Trite Muzikante, MoroMore and others, performing Mediterranean, Flamenco, Moroccan, Asian and other types of world music. Anton has performed with the bands Gsol, Tarraf de Tucson, Mzekala, and for the Rogue Theatre, and is currently playing with KYKLO. A multi-instrumentalist, he plays tamboura, djura, guitar, and kaba gaida (bagpipe) and sings. Anton also holds a BA in Fine Arts from the University of Arizona. An ASU graduate with a degree in Theatre Arts, Cynthia (Costume Design) spends her time between her two homes, Tucson and Hilo, Hawaii. She owned and operated “Wide Eyed Theatre”, an after school program, and co-produced three videos on Teen Crime Prevention with her husband, Tobin. She has worked as a DJ for “K-Hawaii’s Rock N’ Roll” and earned 4 Tiki Awards for Best Actress in such shows as A Streetcar Named Desire as Blanche, Macbeth as Lady Macbeth, Crimes of the Heart as Meg and Beyond Therapy as Prudence. In Tucson, she received MAC nominations for Relatively Speaking as Sheila and No Exit as Inez and won recognition for her role as Amanda in LTW’s The Glass Menagerie. Favorite roles include Flora in Humble Boy, Nettie in The Subject was Roses and Mag in The Beauty Queen of Leenane. Film credits include The Lost River, The Greening of Eritrea, Spin, Animal Planet’s I Shouldn’t be Alive and Finley Wade. Cynthia's message to Bryan and Elizabeth, "I am so thrilled (our go-to- word in the arts, right?!) to be part of the Scoundrel and Scamp's 1st Season in Tucson. My friends, consider yourselves Ohana!" Holly Griffith (Box Office Manager & Artistic Associate) is a member of the Resident Acting Ensemble at The Rogue Theatre and an English Composition teacher. She has appeared in numerous productions at The Rogue, including MacBeth, The White Snake, Uncle Vanya, Angels in America, and Hamlet. Holly also co-produces the Ambruster Play-Reading series at The Rogue, and dabbles in playwriting and adaptation. A native Ohioan, Holly has trained in ballet, tap, and jazz dance, and maintains an interest in movement-based performance. Holly holds an MA in English Literature from The University of Arizona. Willow Falcón, Grace Otto and Gabrielle De Brequet.